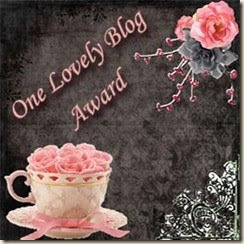 Laura from Ciao Amalfi has given me the "One Lovely Blog Award." Thanks Laura! Congratulations on your bling! VEry well deserved. Congrats! You do have one lovely blog. Congrats on the award! Thanks for the award! Congrats on the award...you so deserve it! Many congrats to you! And many thank you's for passing it on to me... you are to sweet! Congrats on your award. I am sure you well deserve it.